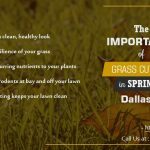 and trouble by hiring the services of the best lawn care services in Texas. 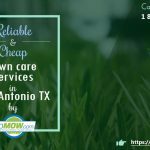 With years of experience in lawn mowing service coupled with a skilled team of personnel, GoMow Lawn Care Services, Texas is the best you can get in residential lawn care. When your schedule is packed with so many busy activities, consulting with GoMow Residential Lawn Mowing Services means your lawn maintenance wouldn’t be part of your worries anymore. Our lawn mowing services cover the following areas in Texas: Irving, Plano, Austin, Dallas, and Garland. Wherever you are in any of these areas, our professional lawn care services are only a phone call or mouse click away from reaching you. Our awesome service delivery speaks for us and you can check out our raving reviews from past and present clients when you visit our website. You can book for a lawn care consultation online as our customer service personnel are available at all times to attend to your inquiries and questions about the lawn care services we offer. No matter the size of your property, we have a range of excellent lawn care services tailored to fit your lawn irrespective of the size. Our lawn care experts have garnered years of experience and training in dealing with all lawn maintenance issues. When we consult and visit your home, be rest assured that at the end of our project with you, we will leave your lawn looking fresh, healthy and well-cared for. You have our utmost guarantee that you will love our services and your neighbors will marvel enviously at how appealing and tidy your lawn is once we service your lawn. The following superb features come with our lawn care package. 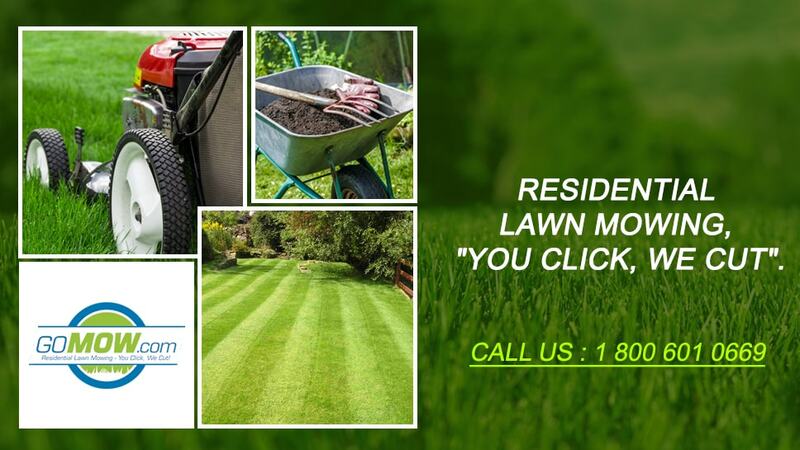 We offer different lawn care service plans depending on your preference as a customer. We offer an extended service plan that includes winter and our lawn service agreements run annually with at least 6 visits from our team of professional lawn care experts. Weekly or bi-weekly services are available from March through December while we offer tri-weekly services from in January and February. Our professional lawn mowing services are available all across Texas and you can schedule an appointment today and get our services as soon as the next day. Our team of customer service representatives is always available to take your calls. When you make a request or inquiry, getting a response and solution for your lawn is prompt and timely. At GoMow, we make it our business that you get exactly what you requested for by coming to us. Your satisfaction is a representation of our service and because we pride ourselves as the best there is in residential lawn care maintenance, we go an extra mile to make sure this standard is maintained. We are confident we have the best people and equipment required to deliver quality service when we service your lawn. This is our mission and promise from the beginning of our business relationship to the end. Compared to industry standards, our lawn care service rates are quite affordable when you consider the level of service we deliver compared to our competitors. Each of our packages no matter which one you choose is targeted towards fitting your budget in the best way possible. We have a service plan for everyone, irrespective of your income level. The liberty to discontinue our lawn care service is available should you decide to part ways with our service for any reason whatsoever. There will be one-time service cancellation charge of $40 however if there hasn’t been up to 6 visits to service your lawn. All cancellations must be issued during working hours with a notice of 24 hours excluding weekends. 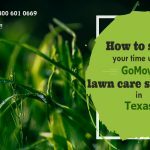 GoMow’s Lawn Mowing Texas service has all your worries covered and you surely have nothing to lose when we work for you. To speak with one of us, you can give us a call now on +18006010669.